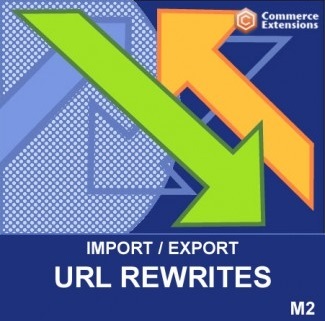 Unfortunately, the Commerce Extensions Import/Export Wizard doesn’t provide the ability to move URL Rewrites between several websites, but you can get the missing functionality with the help of the Import + Export Bulk Magento URL REWRITES Magento 2 extension. Below, we shed light on its functionality and core features. The module supports all URL rewrite data. First of all, it is store_id. Of course, you can also move category_id between two ecommerce websites. Such URL rewrite parameter as product_id is also supported by the Import + Export Bulk Magento URL REWRITES Magento 2 module. Besides, it can import/export is_autogenerated, options, and description. Everything is possible via CSV documents, so you can easily move URL rewrite data to your Magento 2 store from Magento 1 or third-party platforms. Note that it is recommended to use Openofice.org to modify CSV files. Other editors provide changes that disrupt import. And don’t forget to save everything in UTF-8. 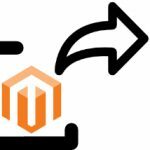 Another useful way to use Commerce Extensions Import + Export Bulk Magento URL REWRITES is to utilize it for mass updates. You create a CSV with all URL rewrites, change then in editor in bulk, and reimport the document into the system. This approach helps to save lots of time and effort in comparison manual manual update. 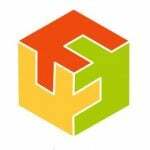 You can use the module to move 301 permanent redirects between websites as well as fix 404 errors. Custom 301 permanent redirects can be exported as well. It is possible to choose between Product SKU and Product ID. This feature helps to prevent problems caused by the same products from different installations with mismatched product IDs. Existing URL rewrites can be optionally updated with new target paths. URL rewrites can be deleted in bulk. You can find the extension’s core interface under System -> Import/Export URL Rewrites. It is divided into two sections: Import URL Rewrites and Export URL Rewrites. The first one allows you to set delimiter and enclose values as well as decide whether to update just URL rewrites or not. The extension will match on request_path and if it matches the target_path will be updated. Set to Yes to activate the feature. 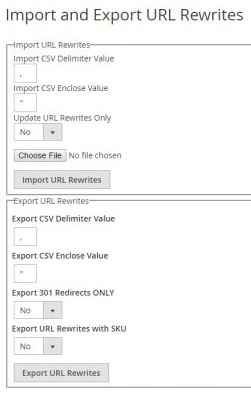 In the Export section, there are two specific parameters: Export 301 Redirect ONLY and Export URL Rewrites with SKU. 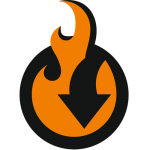 The first one allows you to export just the URL rewrites that are 301 permanent redirects. As for the second parameter, it is designed to export the URL rewrites with SKU instead of the standard product_id. 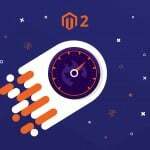 If you are already familiar with modules by Commerce Extensions, it’s not surprising that the Import + Export Bulk Magento URL REWRITES Magento 2 module has a user-friendly interface and powerful features that make the tool a number one solution its area. If you are looking for a reliable solution that provides rapid URL rewrites import, check Import + Export Bulk Magento URL REWRITES. The module costs just $80.